Inside this plus sign, which acts like a gallery window, we’ll showcase the most exciting, transformative objects and ideas that add wellness to your life. This week, we’re focused on love. While the romantic version is fine, we’re really into the perspective that self-love is even more key. And rose quartz, pictured here, has long been considered a tool for tapping into it. Learn more about our healthy obsession with rose quartz now…and check back soon for more wellness inspiration that we’re excited about. Think back to your witchcraft stage as a child, when you believed in magic and carried around a little satchel of magical gems. The most important rock? Pink, cloudy, passionate Rose Quartz, of course. Belief in the power of rose quartz goes back to the beginning of civilization—not just fourth grade. Beads dating back to 7000 BC have been found in Mesopotamia (now Iraq), and ancient Egyptians used the stone in powdered form in cosmetics, believing it cleared the skin and stopped wrinkles. Rose quartz facial masks have even been found in Egyptian tombs, placed there to ensure the buried will look fabulous in the afterlife (taking the overnight facial mask to a whole new level). With its pinkish glow and milky, mild aura, the powerful vibes coming off rose quartz are hard to deny—even now, in your skeptical adult stage. 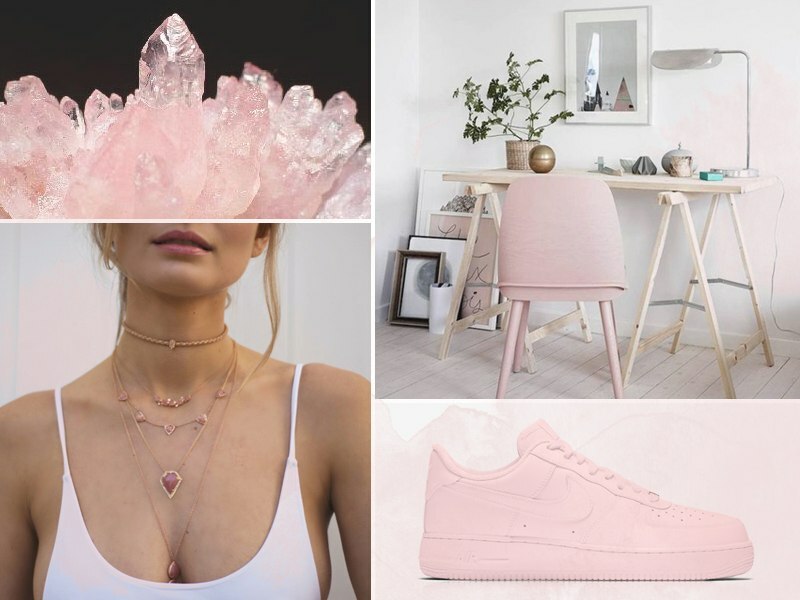 And hey, Pantone also named it a color of the year, so you can also take the not-so spiritual route and just rock rose quartz as a pretty new favorite shade, like on your sneakers.